A group of PCOs enjoyed a three part famil last week at three Crowne Plaza NSW properties. The three-part famil tour was themed by Blueberry Events and commenced with a ‘Mad Hatter’ theme at Crowne Plaza Coogee Beach, followed by a ‘Hollywood VIP’ theme at Crowne Plaza Terrigal and concluding with an indulgent food and wine experience at Crowne Plaza Hunter Valley. The first stop on the three part showcase included a ‘Mad Hatter’ theme at the Crowne Plaza Coogee Beach. Participants came from Brisbane, Melbourne and Hobart and were hosted by IHG (InterContinental Hotel Group)’s Jenny Quinn (Business Development Director, IHG NSW/ACT) and Phil Beeson (Key Account Manager, Asia-Pacific) throughout the three-day famil tour and at each hotel by the respective Crowne Meetings Directors, David Valentine (Crowne Plaza Coogee Beach), Stephanie Davidson (Crowne Plaza Terrigal) and Allison Rosemond (Crowne Plaza Hunter Valley). The famil commenced on Thursday May 30 with a Mad Hatter Tea Party lunch at Crowne Plaza Coogee Beach, where famil participants created their own commemorative Mad Hatter Tea Party hats. After lunch, participants then enjoyed a champagne picnic along the famous Bondi to Coogee walk, taking in the breathtaking coastline views. That evening, they enjoyed dinner in Crowne Plaza Coogee Beach’s Presidential Suite, and had the opportunity to show off their Mad Hatter Tea Party creations before departing Friday with a yoga session by the hotel pool overlooking Coogee Beach, and breakfast on the hotel pool deck, allowing them to appreciate the hotel’s full seaside meeting experience offering. Guests enjoyed the VIP treatment at the Crowne Plaza Terrigal on day two. Next, the participants were transferred smoothly to Crowne Plaza Terrigal, on the NSW Central Coast, where they arrived to full VIP red carpet treatment. After settling in, they were then split into three teams for an Amazing Race-style scavenger hunt around sunny Terrigal, followed by a luxurious hair blow dry at local salon Vive to prepare them for the evening awards festivities. Glammed up participants then enjoyed pre-dinner drinks by the hotel pool and even had the chance to make their own caprioskas and cosmopolitans with a cocktail-making class by Crowne Plaza Terrigal bar staff. Following the cocktail-making sessions, the group enjoyed a Hollywood Awards-themed dinner at Lord Ashley, where they experienced the hotel’s new Seasalt Restaurant menu. On Saturday morning they group were treated to healthy vegetable and protein shots to revive at nearby organic store Bella Natural Food Co and rejuvenating head and shoulder massages at the hotel spa. On Saturday June 1, the group were then transferred swiftly to Crowne Plaza Hunter Valley in the heart of NSW wine country and were first treated to lunch on the hotel’s North Terrace overlooking the hotel’s 18-hole golf course. Stomachs full, they then embarked on a scavenger hunt around the hotel’s pristine grounds, allowing them to experience Crowne Plaza Hunter Valley from a different perspective. They rounded off the afternoon making wine labels which were judged by the hotel’s Crowne Meetings team. The famil concluded with guests enjoying dinner and a movie night at the Crowne Plaza Hunter Valley. In the early evening they enjoyed pre-dinner drinks by the fire in the hotel’s Vista Lounge which boasts one of the biggest whisky collections in the country, before they moved on to dinner in the hotel’s Gallery Room where they were treated to a scrumptious winter menu by the hotel’s signature restaurant, Redsalt. Sated participants then wound down for a movie night in the hotel’s Semillon Ballroom where they watched blockbuster comedies, relaxed on bean bags and enjoyed dessert. 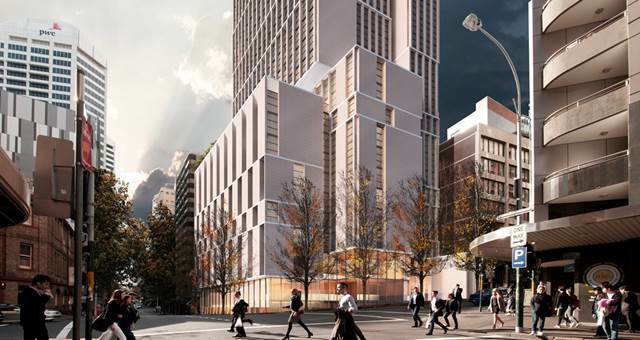 160-room Crowne Plaza Sydney Darling Harbour to open in 2019. 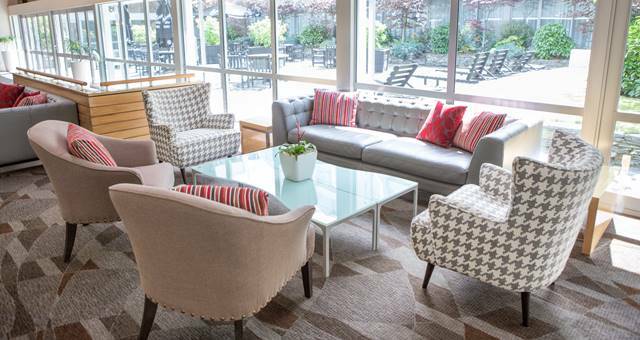 Crowne Plaza Queenstown has upgraded its conference spaces and public areas.